Get 50% Off Canvas Prints At Vistaprint! You are here: Home / Great Deals / Get 50% Off Canvas Prints At Vistaprint! 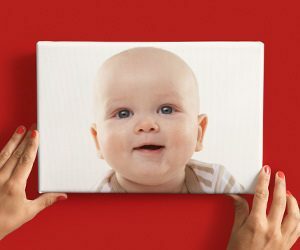 If you’ve been wanting to get some photo canvases made, you’re going to love this deal – get 50% off canvas prints at Vistaprint when you use code BEMERRY at checkout! I love hanging canvas photo prints in my house, and I need to get some new ones, so this deal comes at a great time! And, these make great Christmas gifts as well – think grandparents!